INDIANAPOLIS - Indianapolis Indians front office executives Kim Stoebick and Hayden Barnack have been named to the inaugural class of Minor League Baseball's LIFT (Leaders Inspiring Future Talent) Mentorship Program. 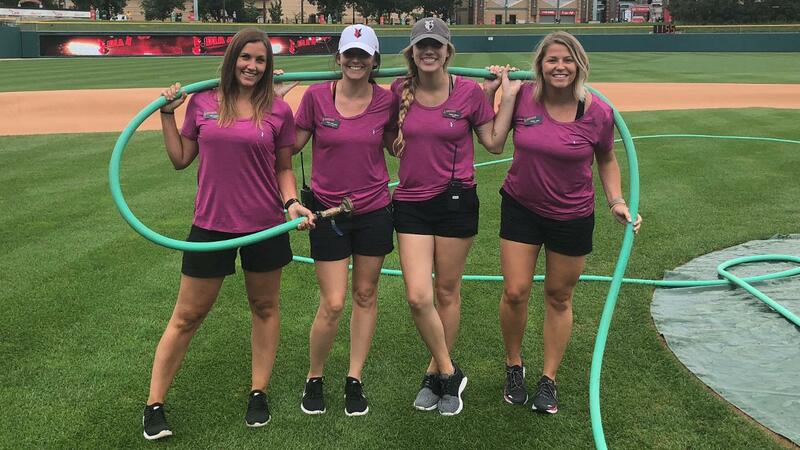 The mission of the LIFT Mentorship Program is to build continuous lines of communication and support for female professionals in MiLB, develop the next generation of women executives, and continue to retain quality professionals in the baseball industry. The formation of the LIFT Mentorship Program was announced in August. Mentees (individuals working in MiLB for fewer than four years, also known as LIFTees) are paired with mentors (females working in the industry for more than four years, also known as LIFTers) with whom their application matched based on a series of in-depth analyses, including current job responsibilities, long-term career goals and work history. Stoebick, the Tribe's director of marketing and promotions, and Barnack, its game presentation and promotions manager, will serve as a mentor and mentee, respectively, to other executives across the country. In total, 68 women were chosen for the program's first class. For more on the Tribe, visit IndyIndians.com.